The universe is staggeringly massive. For every grain of sand* on Earth, there are at least 10,000 stars in the visible universe. *And yes, there’s an algorithm for determining the number of grains of sand on Earth. Also amazing. In the big scheme of things — the REALLY big scheme — who we are and what we do doesn’t seem to, in the words of Humphrey Bogart in Casablanca, “amount to a hill of beans in this crazy world”. Yet we all are so busy and in a hurry and stressed out. Our to-do lists tug at us and unsettle both our conscious minds and our subconscious and even sneak into our dreams at night. Our calendars are filled with meetings and appointments and projects and task-forces and so many things that won’t be worth remembering or talking about. How much of what we do makes a real difference and is truly meaningful? How often do you get to the end of a day and lay your head on your pillow and feel genuine, wholehearted satisfaction about the way you spent a precious day in your short life? …in the effort to have more and be more and somehow win at life. What if you apply “MORE” to quality rather than quantity? What if you did LESS, but did it BETTER? Do LESS, but do it MORE BETTER. 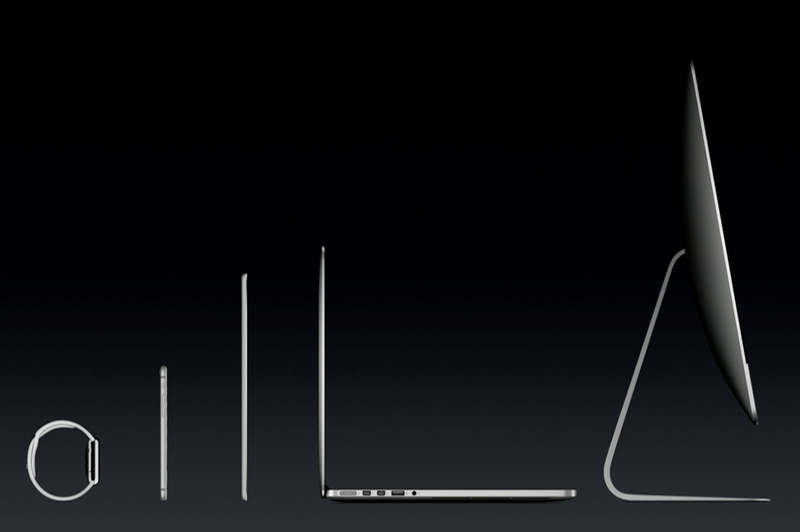 All of Apple’s products could fit on a conference room table. Steve Jobs attributed much of his success to saying “No” to make room for a better “Yes”. Steve Jobs, Albert Einstein, Warren Buffett, Thelonius Monk — all champions of doing less, but doing it better. Imagine honing your focus and investing more of your limited time and attention in things that matter most. Imagine the rewards of deep work and quality time on fewer projects. Imagine more quiet moments and eye contact and actually taking time to listen intently. What would intense focus on fewer things do for your work life, your relationships, your peace of mind? But, to have that kind of focus, you have to be ruthless at saying “No” to even really good and noble things as well as to time-wasters and trivial distraction. And you have to say “No” to nice people and to “good” opportunities. Derek Sivers says when he’s confronted with a new opportunity, if his response is not a “Hell, YEAH!”, then it’s simply a “no” for him. That may be extreme, but exceptional, more better lives tend to defy convention. Consider the things in your life, professional and personal, that are most important. Make a list. Prioritize it. What if you cut that list down to just a few key priorities, the things that would have the biggest impact and matter the most? And what if you structured your time around giving those few key priorities more of your attention? Management is doing things right. Leadership is doing the right things. What if you built habits around the few priorities that have the biggest impact in your work and your life? Consider whittling your daily to-do list down to one or two key tasks, tasks that would benefit from close attention and deep focus. Consider overhauling your schedule by cutting out most meetings. Turn off notifications on your devices. There are people who only check email at designated intervals — first thing in the morning, around noon, and in the afternoon. Crazy, right? Who does this? I’m guessing Warren Buffett doesn’t live out of his email in-box. What can you: streamline, unclutter, simplify, clarify? Instead of a buffet, a smorgasbord even, of services and options, what if you offered just a few truly great choices? Is your purpose, your mission — for your team, your family, your work, your life — clear? How much stuff do you possess that you don’t really need, that’s not either useful or beautiful? Less stuff, but better stuff. Fewer pursuits, but more rewarding pursuits. Picture the end of your life. What kind of life do you want to look back on? It will be quality, not quantity, that will matter most at that point. And that should matter most now. *This is the thought stream for a presentation I will be leading at a conference next month. I posted a PDF of this from a Keynote document for use by the audience prior to the presentation. It can stand alone but is intended to be a warm up for what I hope will be a lively conversation.